With the GHSP season nearly upon us, this Access Fund picture is a great reminder of the ethics that are so vitally important to adhere to in Grayson. As Grayson Highlands is a State Park, and a very popular one at that, it is important to keep in mind that there are a variety of user groups visiting and enjoying Grayson. Most of these folks are not climbers, and their user experience is crucial. The beauty and natural experience is of the utmost importance. 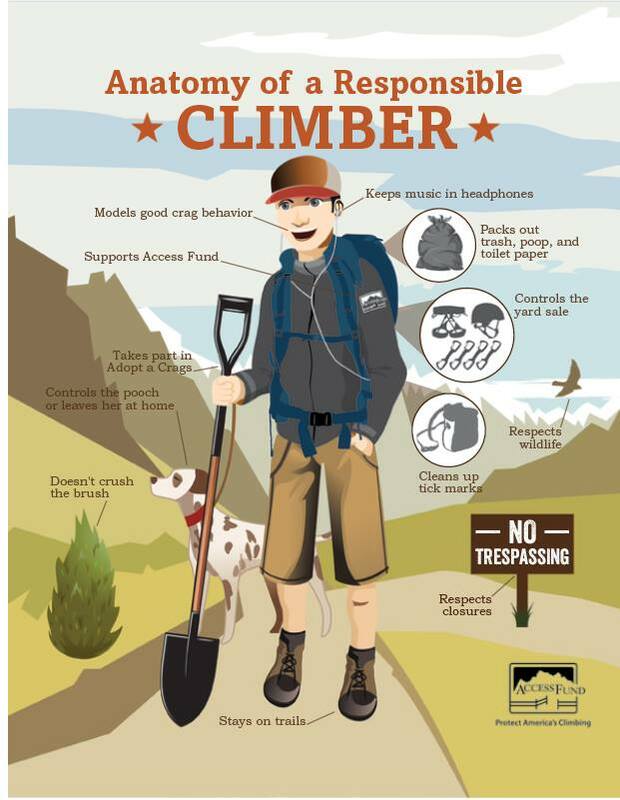 Loud music, shirtless temper tantrums, tick marks, loose dogs, the loose dog’s dog poop, damage to vegetation, and any manner of gear strewn about will no doubt diminish other folks user experience and reflect badly upon climbers and climbing in GHSP. Please don’t be that guy or gal. Lets all strive to respect the park, park guests, and mother nature while visiting GHSP or any climbing area this season.